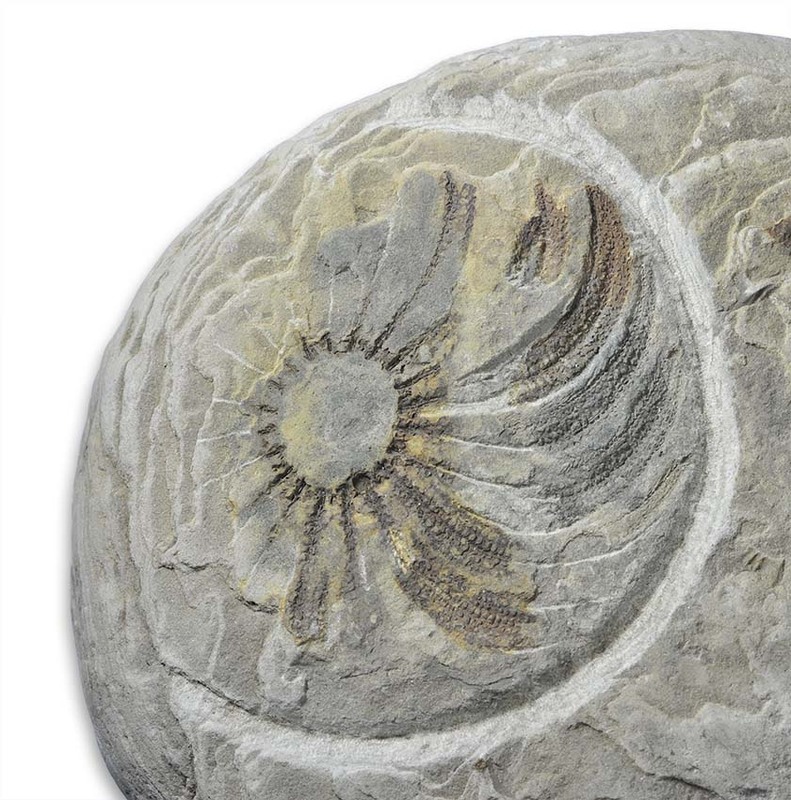 One of these immigrant genera from the Tethys is Protogrammoceras, an early member of the Hildoceratidae family of ammonites, that is going to be one of the dominant ammonite families in the Toarcian, with genera like Hildoceras, Harpoceras, Eleganticeras, Hildaites, Pseudolioceras etc. 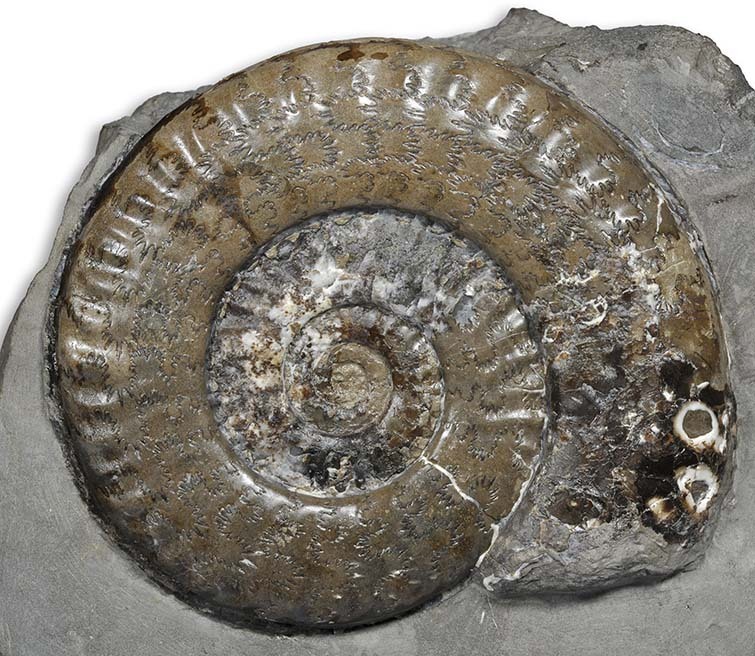 Much of the evolution leading to Protogrammoceras is assumed to have occurred in the Tethys, so appearance of Protogrammoceras in Yorkshire seems rather “sudden”. 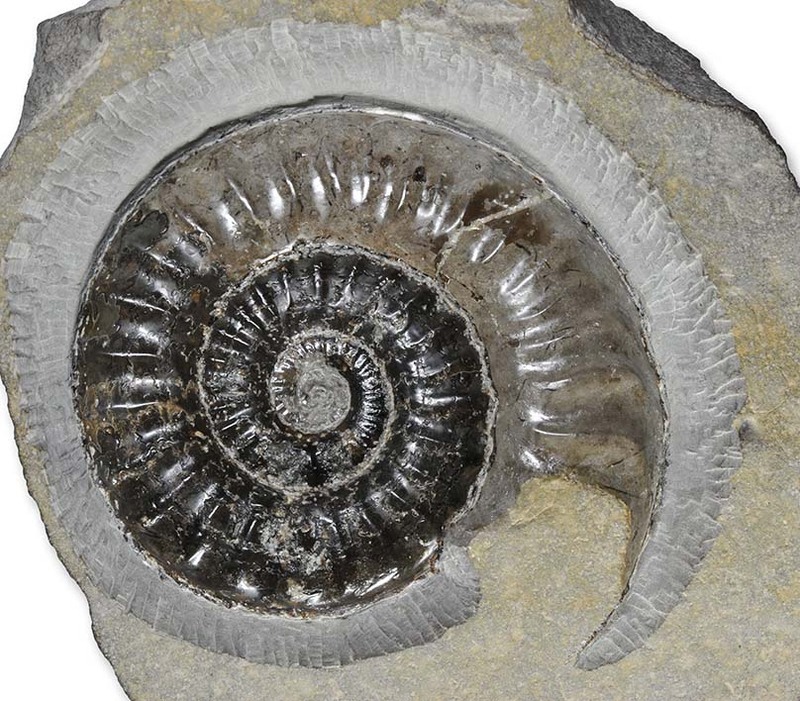 Protogrammoceras is also rather a rare ammonite in Yorkshire, finding good specimen requires intense searching of the hard flat limestone nodules of the stokesi subzone. 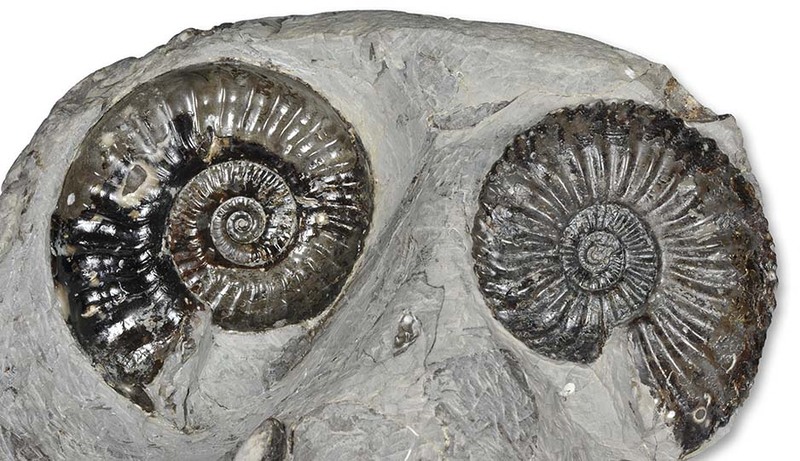 This interesting cluster of 8 Protogrammoceras, 1 Amaltheus stokesi and various bivalves was found in July 2009. 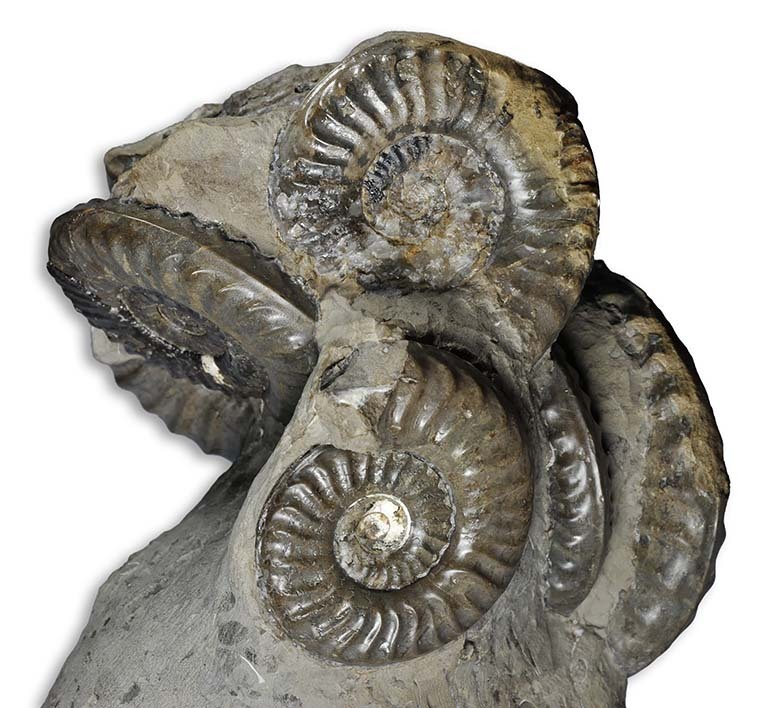 By their rib densities , of the 8 Protogrammoceras 2-3 are P. (M.) geometricum or intermediates, while the other 5 are P.(M.) nitescens. larger than the specimen HOWARTH used for his rib density observations. 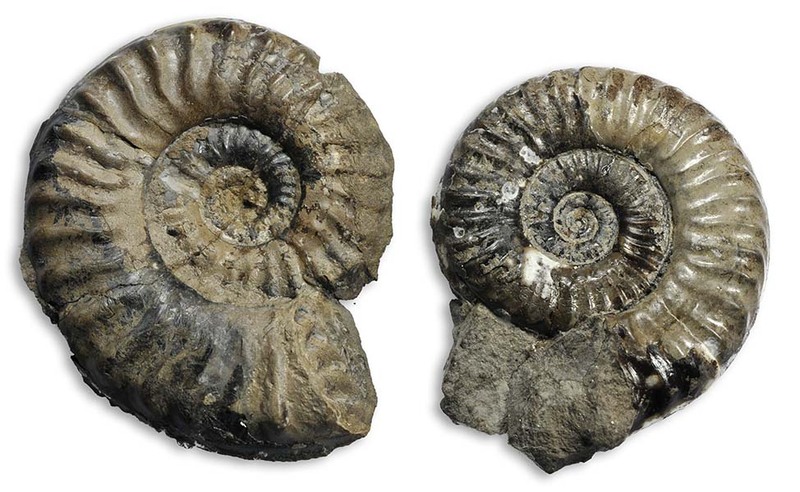 Large 10.5 cm Protogrammoceras, possible intermediate from P. occidentale ? 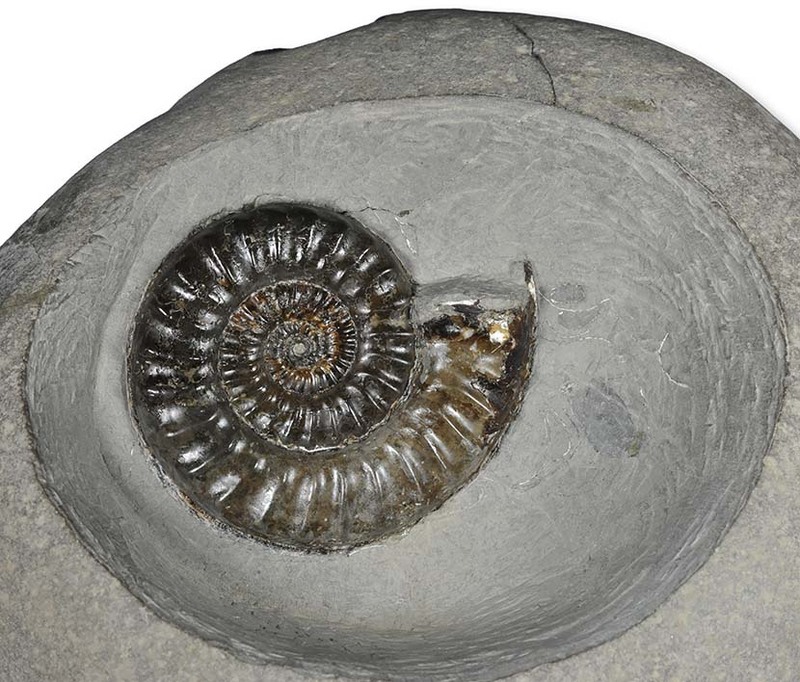 Large 9 cm Protogrammoceras, possible intermediate from P. occidentale ? 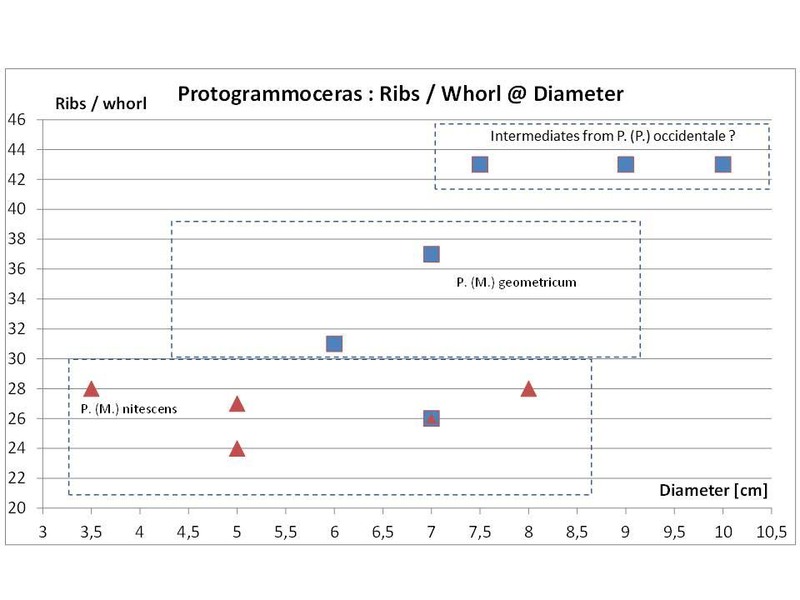 Identification of species by rib densities is certainly no exact science, but they could also be intermediates from P. (P.) occidentale ? 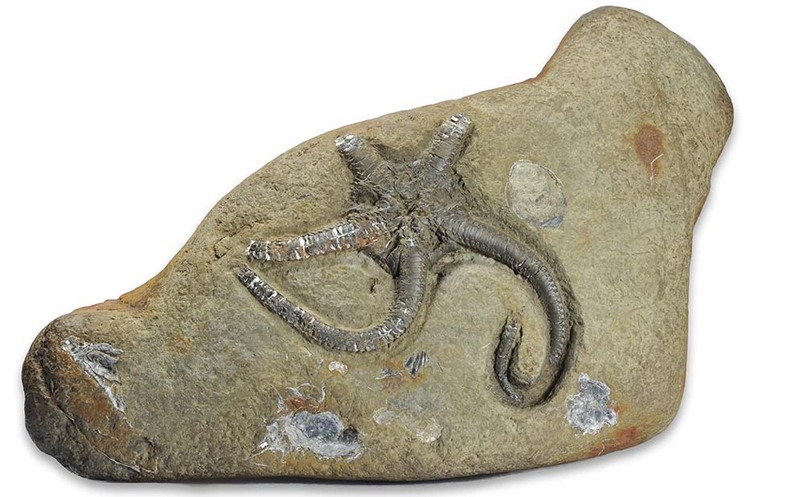 In the first part of this blog post I described the Yorkshire liassic crinoids, now´s the time to show you the starfish. 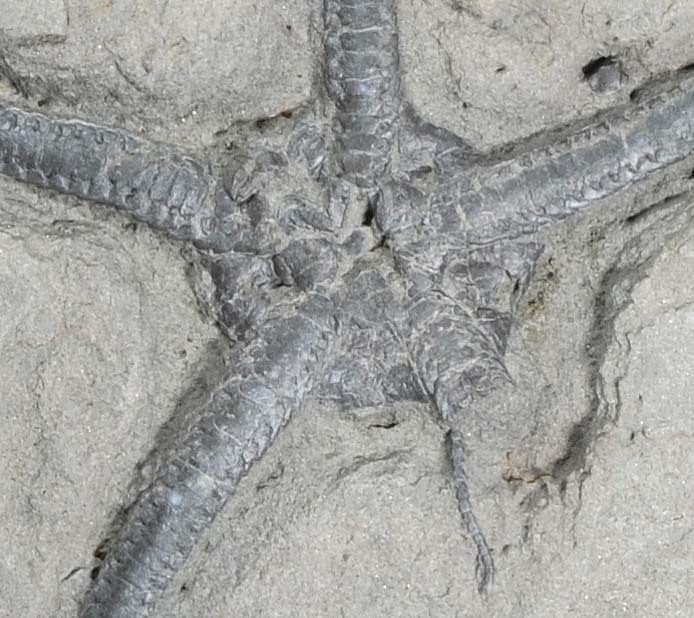 It feels like starfish are even a bit more rare than crinoids – at least with crinoids you get the obvious isolated segments (ossicles) in most sediments. Disarticulated starfish remains are less obvious, though I guess they must be there as well, most Yorkshire lias sediments are just difficult to prepare for microfossil analysis. Most articulated starfish remains in my collection are from the figulinum – stokesi subzones of the Yorkshire coast, as are the first three. 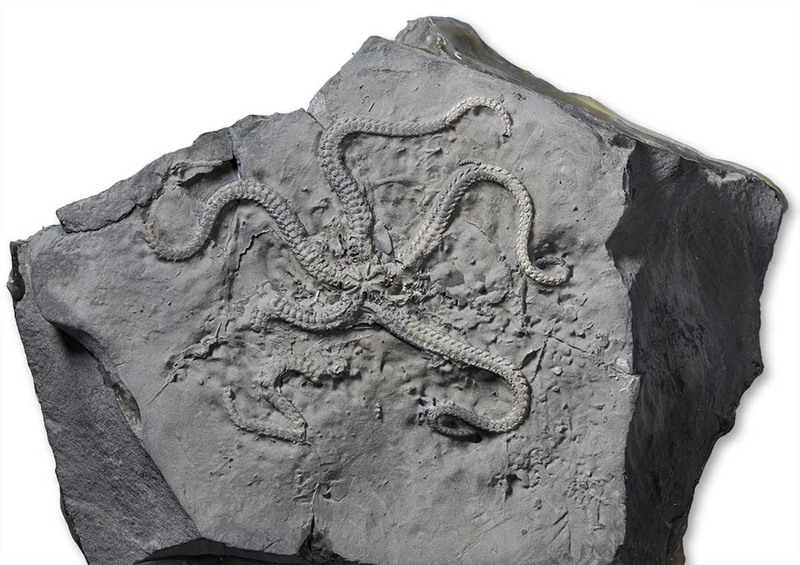 “Yorkshire” seas also fed the brittle stars better 😉 – Dorset specimen of the same species are usually considerably smaller. 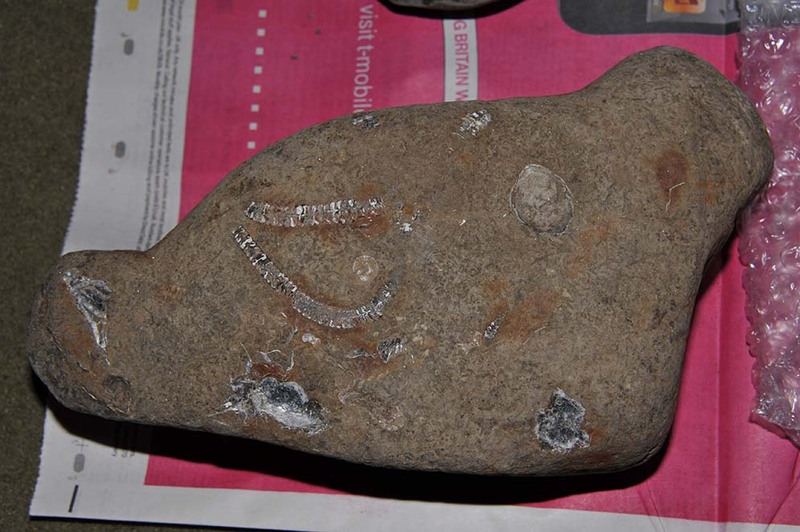 This one was found in a fresh cliff fall on a block of softer sediment, sensitive to both drying out/cracking and falling apart when subjected to water. air abrading brought the winding arms of the 9 cm diameter brittle star to light. 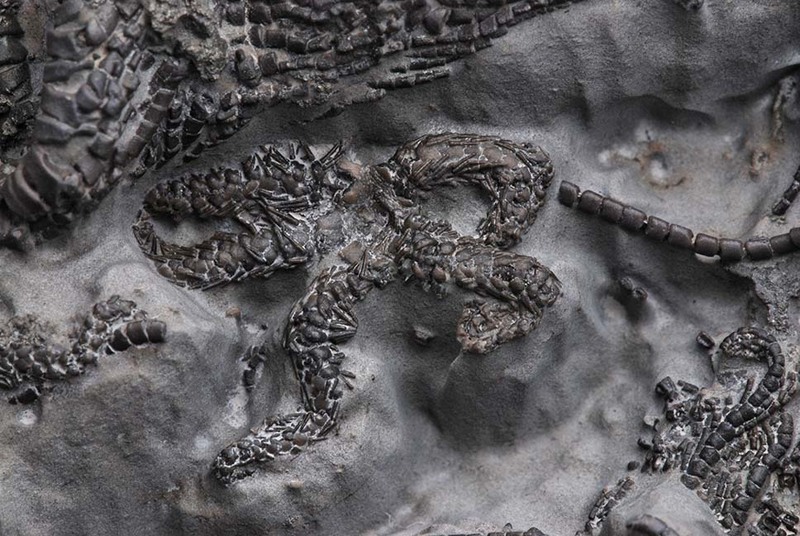 This is the said large specimen of Palaeocoma with the arm length of 15 cm (stretched out) and an “arm span” (as embedded) of more than 22 cm. The long arms sink deep into the thinly bedded sandstone with harder and softer layers, with the very tips less than 0.5 mm thick. 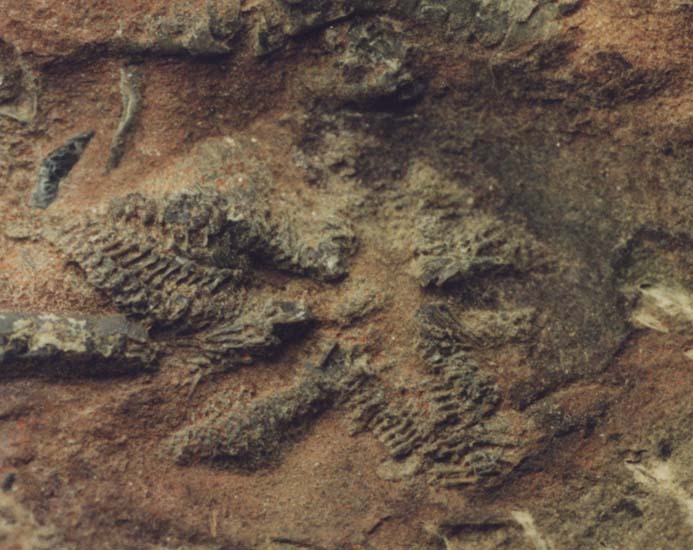 This fossil was prepped with alternating runs of air pen (for breaking through the harder layers) and air abrader (for the detailed work around the fossil). it could be a replacement arm (allthough it looks too small for it). This starfish was found in March this year. It sits in a little block about 23 cm wide and was again prepped with air pen / air abrader. The embedding rock seems to originate from beds around the oyster bed, showing some oysters as well. 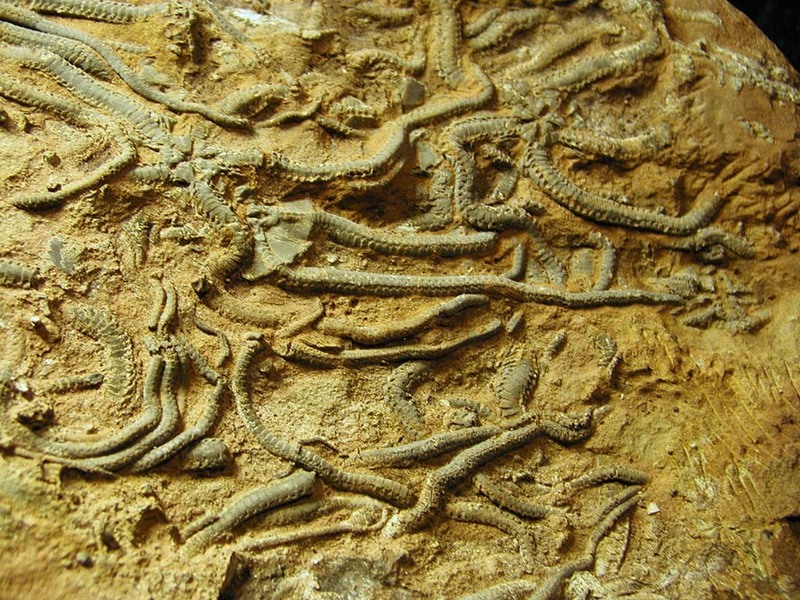 Recent brittle stars are known to gather where there is a large supply of nutrients, i.e. in the deep sea on decaying whale carcasses. as the tide came in already, it had to be left on the beach and was hidden in a secretively marked spot. 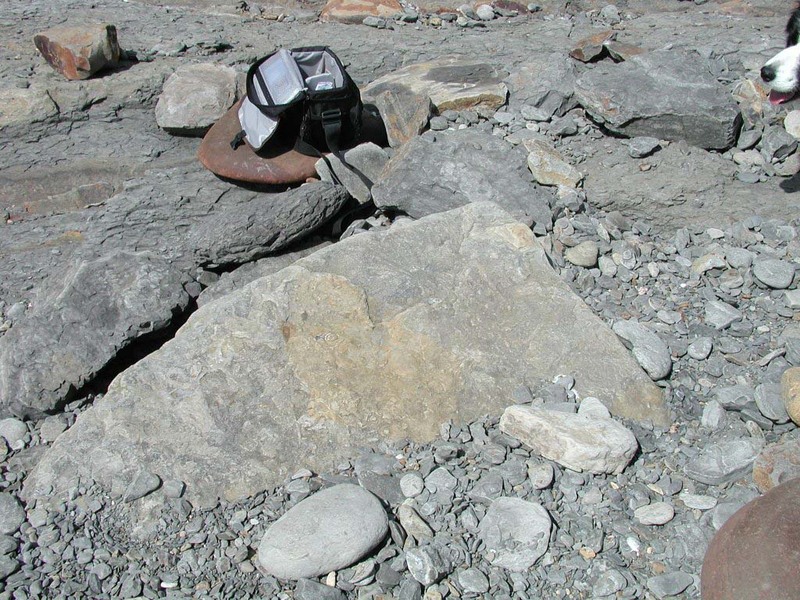 The slab had an eroded Amaltheus stokesi on the back, so it must originate from the stokesi subzone. 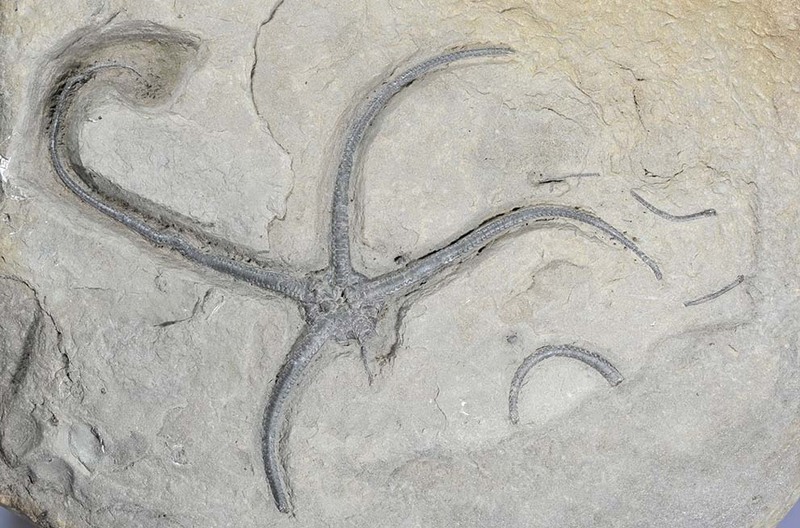 This small starfish sits on the same slab as the Palaeocoma specimen of the last picture. It is only relatively small (4 cm diameter) and very fragile. I notified a local collector who had it cut out of the block with a diamond still saw and had it prepped professionally ,it is now on public display in a shop in Robin Hoods Bay. 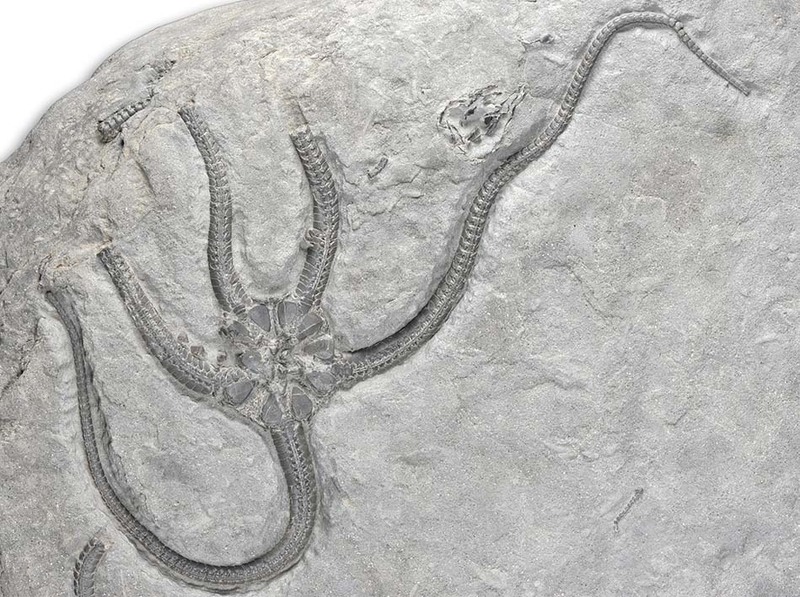 The small brittle stars associated with the Hispidocrinus scalaris crinoid I showed you in the previous post are just too small to be identified – a little over 1 cm diameter. 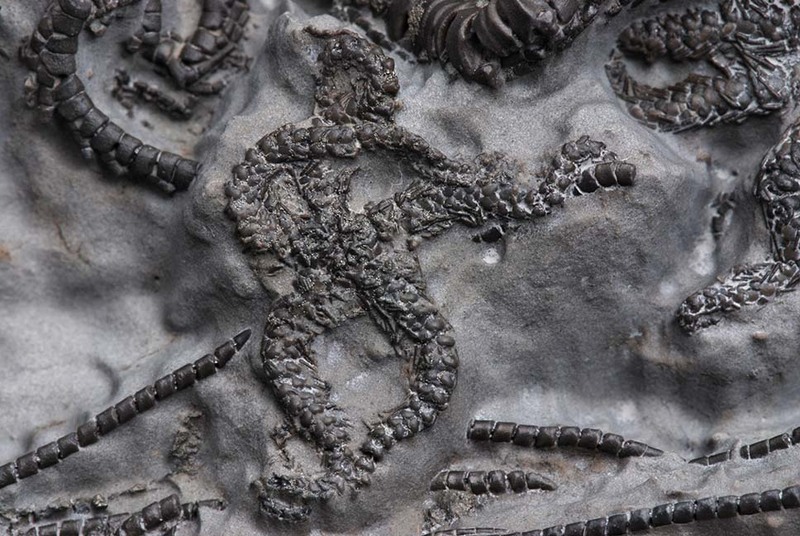 I have tentatively put them towards Sinosura, since larger specimen of Sinosura have been found with these crinoids. These tiny little brittle stars are preserved so life-like, with even some of the finest hairs still attached, truly a moment frozen in time. 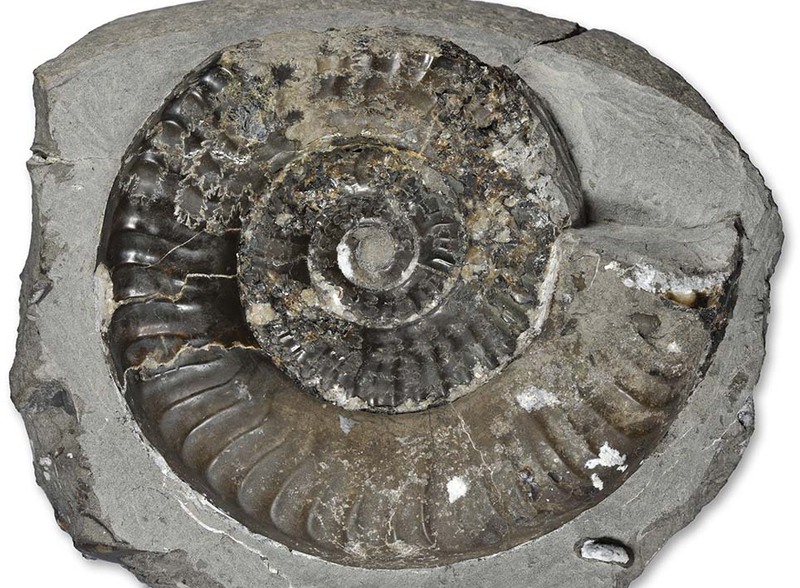 but in aboral aspect (like you would see it crawling around in and over the sediment). It is perfectly preserved and could be teased out of the relatively soft shale with low air abrader pressure in about 45 minutes. Congratulations to the finder (D. Clark) and thanks again for letting me picture it here !